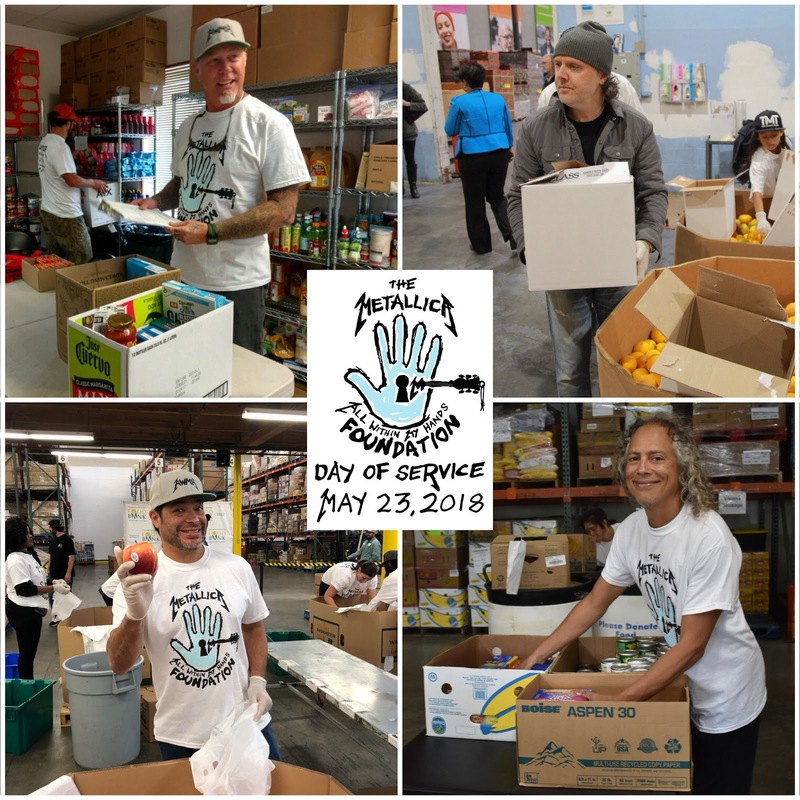 Metallica and their fans teamed up to volunteer at food banks across the US on May 23 for the band’s first Day Of Service. Through their All Within My Hands Foundation and in cooperation with Feeding America, the group encouraged fans at get active at food banks in their community as follow-up support to what the metal icons did during last summer's North American tour. More than 1,800 Metallica fans participated in the event nationwide, with drummer Lars Ulrich presenting a $5,000 donation to the San Francisco-Marin Food Bank while assisting on site throughout the day. Now enjoying an extended summer break from their WorldWired tour, Metallica will return to action for a North American arena run this fall that will begin in Madison, WI on September 2.